Sometimes even I am amazed at the awesome things you can cook in a slow cooker. 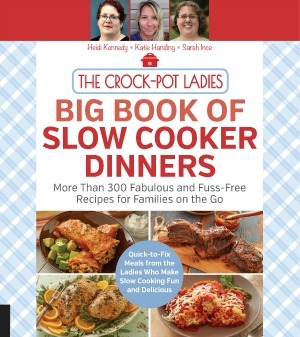 While I love cooking easy everyday dinner type recipes in my slow cooker. I also really LOVE experimenting and coming up with new recipes that you might not expect to come out of a slow cooker and come out GOOD! I was inspired by some beautiful, juicy and sweet fresh raspberries I picked up at the local road side produce stand. When I sampled those amazing berries I knew I had to pick up a few pints and put my testing hat on. I decided on making a coffee cake but wanted to lighten up the recipe just a little bit. This recipe is by no means healthy. I pulled out my families go-to recipe for coffee cake and replace the sour cream with fat free Greek yogurt and then I replaced some of the butter with unsweetened apple sauce. The resulting batter comes out somewhere between a shaggy sticky dough and a thick batter. It kind of reminds me of when I make drop biscuits. The batter itself isn’t hard to make but I will be honest spreading it out into my 3.5 quart casserole slow cooker took a bit of patience. It’s doesn’t have to be perfect though. So just get in there and spread out half of the batter, drop your fresh raspberries all over and then add the other half of the batter. I purchased a 4 ounce package of toasted and sliced almonds and put them on top before baking in the slow cooker. When you bake in your slow cooker it is best to put a layer of paper towels (or a clean thin kitchen towel) between the slow cooker and the lid…this absorbs the condensation that collects on the lid and prevents it from dripping on your cake. As far as baking goes my cake was done perfectly right at the 3 hour mark. I recommend a cooking time for 2 to 3 hours on HIGH though because each slow cooker is different. So set your timer for 2 hours, check your coffee cake for doneness and if it needs additional cooking time cook it longer. I was considering making some sort of streusel topping, but didn’t want to bother with it. Toasted almonds gives the top a nice crunch factor, provides some fiber and other healthy stuff without having to add more butter, flour or sugar. To even out all that “healthy” topping going on…I make up a little almond and vanilla flavored icing to drizzle all over the top. If you want to serve this coffee cake for breakfast, you may want to make the cake the night before and add the icing in the morning. The cake holds perfectly fine at room temperature for up to 24 hours. It makes a great addition to a brunch potluck if you are looking for something to bring. The flavor is great, the cake is sweet without being too sweet. 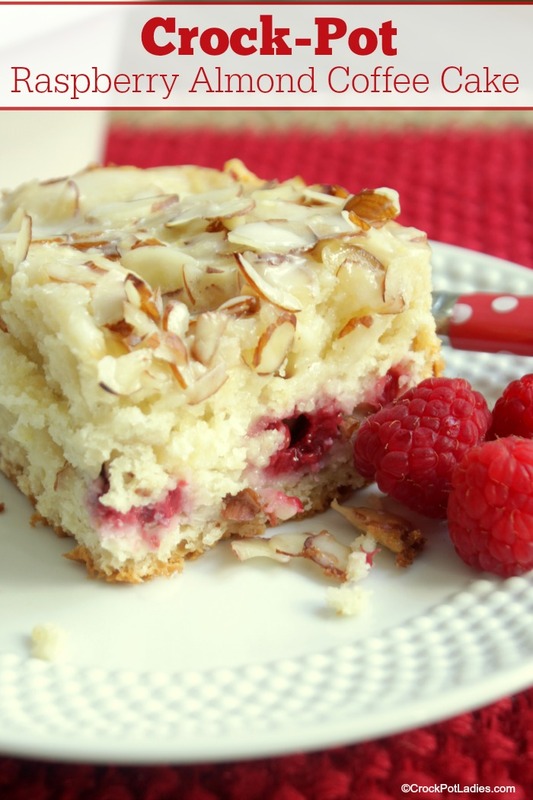 The raspberries add a nice sweet/tart pop and plays nice with the almond flavor. I already know that I am going to be playing with this recipe and coming up with some new coffee cake flavors to share with you all. This lightened up version of coffee cake is perfect for breakfast, brunch or as a snack. For best results up a rectangular 3.5 quart casserole slow cooker. Butter the bottom and sides of a 3.5 quart rectangular casserole slow cooker OR a 6 quart or larger oval slow cooker. Set aside. In a large mixing bowl mix together the flour, sugar, cubed butter, baking soda, and baking powder. Using a mixer on the slow setting mix until the butter is cut into the dry ingredients and the mixture resembles coarse crumbs. Add the greek yogurt, apple sauce, vanilla and almond extracts and mix until you have a mixture that resembles a shaggy dough or stiff batter. Using a rubber spatula scoop half of the batter into the prepared slow cooker and spread as evenly as possible. Sprinkle the fresh raspberries evenly over the dough. Spread the remaining dough over the top of the berries, being careful not to smash the berries too much. 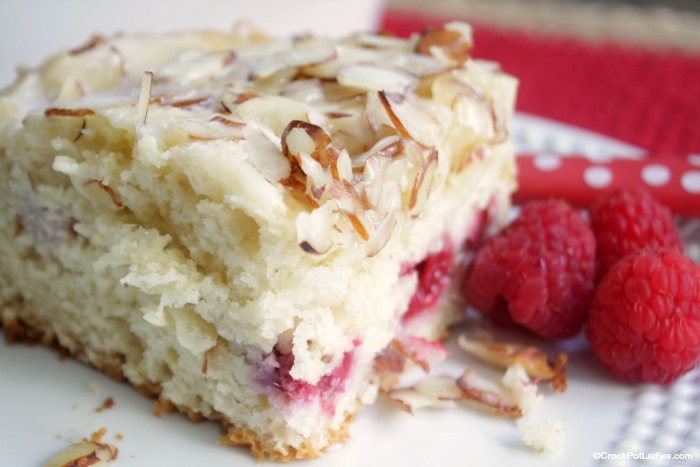 Sprinkle the toasted almonds over the entire top of the top layer of dough. Place a single layer of paper towels between the lid and the slow cooker. Cook on HIGH for 2 to 3 hours until a toothpick inserted in the middle of the coffee cake comes out clean. Remove the lid and lift the stoneware insert from the heating element of the slow cooker and place the cake in the insert on a wire cooling rack and allow to cool completely. Once cake is completely cooled, mix together the icing ingredients in a small bowl and drizzle the icing over the cake before serving. If fresh raspberries are not in season you can use frozen berries or even raspberry jam instead! Can I use sour cream and butter instead of yogurt and applesauce? I am on a high fiber diet. 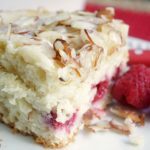 I am getting 4g of fiber when I put the raspberry almond cake into my myfitneespal app but I am also getting less calories. What am I doing wrong? I don’t know. I am not familiar with that app. Our nutrition information is powered by Fat Secret. Sorry I am unable to help Carol.